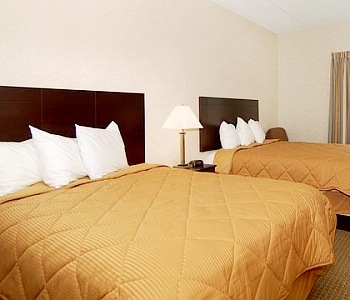 The Comfort Inn O'Hare is located just a couple of miles northeast of O'Hare International Airport. It's also near the Rosemont convention center, and just a short drive to Chicago (downtown Chicago is just 17 miles away). 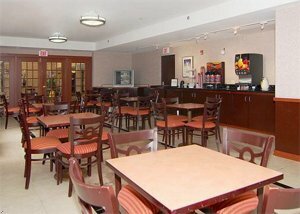 The Comfort Inn offers guests all the usual amenities in addition to free newspapers, free Internet access, free O'Hare Airport shuttle, free local calls, and a free full breakfast featuring Belgium waffles and other goodies. 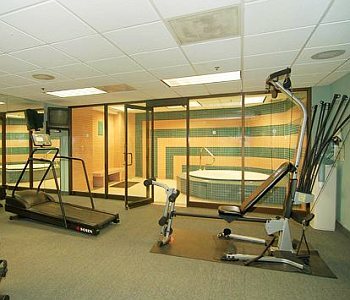 There's even a fitness center and a spa for guests to relax in. Have a pet? Bring it along! The Comfort Inn O'Hare is pet-friendly. 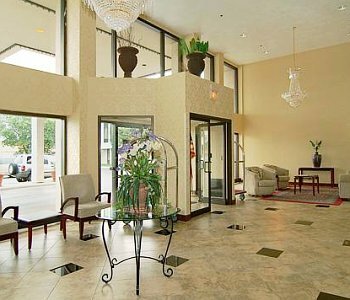 Golf courses, a water park and forest preserves are nearby. 145 rooms at an average price of $113, but you can get deals from $90. 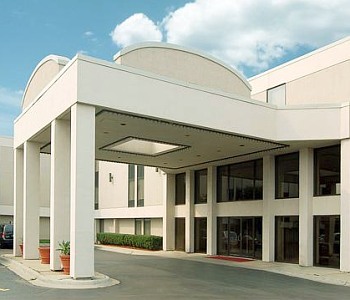 This hotel participates in the Choice Privileges rewards program. The number of points you need to redeem your rewards varies with the dates of your stay. Comfort Inn O'Hare gets positive reviews from travelers. Guests appreciate the value they get from clean, value-priced rooms at a convenient location. The complimentary breakfast, which includes gourmet Belgium waffles in addition to the traditional eggs, sausages, bagels and other breakfast treats, gets especially high marks. While other hotels charge extra for many things, the Comfort Inn O'Hare offers free Internet access, free transportation to O'Hare Airport, free newspapers and other freebies. An on-site fitness facility give guests a good way to spend downtime associated with travel. All these features and amenities of the O'Hare Comfort Inn lead to a big thumbs up among reviewers.